Home » Blog » Can I Work A Part-Time Job While Receiving Social Security Disability? Social Security disability benefits are designed for individuals who have suffered a mental or physical disability that makes it difficult to earn a living. Offered by the Social Security Administration (SSA), benefits are meant to provide substantial financial assistance to help with medical expenses and the cost of everyday life. The government program abides by strict, complex rules and guidelines for determining who is eligible to receive benefits. If you’re applying or already receiving disability benefits, you can generally work a part-time job. However, there are several factors to be aware of that could potentially affect your eligibility. A Wisconsin disability lawyer from Fitzgerald & Bomier, LLC can help you understand how your disability benefits may be affected by a part-time job. Our law firm is familiar with the complexities of the Social Security system and can help you with any questions you may have. When determining if you qualify for disability benefits, the SSA takes your annual income into consideration. If it exceeds a certain amount, they assume you are able to make a sufficient living regardless of your disability or medical condition. If you make over the SGA earnings limits, the Social Security Administration will likely deny your application. Although, there are some exceptions where certain income does not count towards the SGA determination. Even if you make less than the SGA limit ($1,180) per month, it can still be risky to hold a part-time job while applying for disability benefits. This is because a claims examiner or judge may believe your condition is not totally limiting since you are able to perform some type of work. In other words, they might think that if you have the ability to work part-time at a moderately difficult job, you could be able to work full-time. They could also believe that you’re working part-time only because you couldn’t find full-time work, not because of your medical condition. Disability benefits are intended for individuals whose disability is so functionally limiting that it prevents them from working. However, it can take a long time to get approved for benefits, and you will need to earn a living in the meantime. While it can be tricky to get approved while holding a part-time job, it is not impossible as long as you’re making under the SGA limit. If you’re already receiving disability benefits, the rules for working part-time are a little different. Social Security Disability Insurance (SSDI) recipients are allowed a “trial work period,” in which they can earn more than the SGA limit and still receive their benefits in full. As long as your disability continues and you notify the SSA that you’re working, you can collect your disability benefits regardless of how much you earn through your job. The trial work period will last until you have completed nine trial work months within a 60-month period. 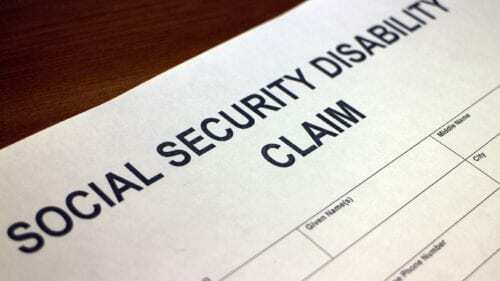 After the trial work period, you have 36 months in which you can work and continue receiving SSDI benefits. However, the substantial gainful activity limit applies at this point, so you cannot make more than $1,180 or your benefits will stop. To learn more about the trial work period and your employment options as a Social Security Disability beneficiary, visit Choosework.ssa.gov. The SGA limit is not always a good representation of an individual’s capability to work. For example, low wages aren’t always the result of a disability or medical condition. Likewise, earning a high wage does not necessarily mean you are capable of working 40 hours a week. You could be working under special circumstances that cater to your disability. For this reason, the SSA may want to evaluate the nature of your job to get a better idea of your work ability. Even if you earn under the SGA limit, they may still want to investigate in order to determine if your low wages are actually due to a medical condition. The process to obtain Social Security benefits can be stressful because there are many confusing rules and criteria you must meet in order to qualify. Even after you’ve been approved, there are factors such as a part-time job, that can jeopardize your benefits. 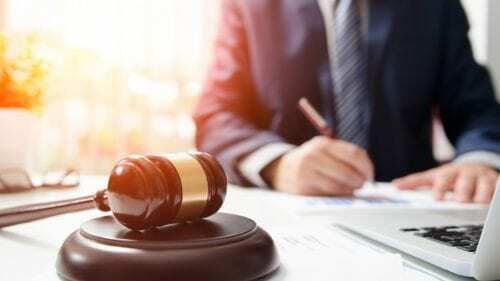 That is why you need a lawyer who is experienced in handling Social Security legal matters to help you with your claim or address any questions you have after receiving benefits. The knowledgeable and experienced Wisconsin disability lawyers at Fitzgerald & Bomier have helped countless disabled individuals receive the benefits they need to cover medical bills and everyday living expenses. Many times, people are denied or their monthly benefits stop because they don’t know how to successfully prove their disability to the SSA. Our skilled legal team can review your claim and ensure you have all the medical documentation and evidence you need to establish your disability and receive benefits. We can answer questions even after you’ve been approved to help you protect and maintain the financial lifeline that your disability benefits provide. If you’re struggling with your disability claim or wondering how a part-time job could affect your benefits, don’t hesitate to call our law office today. A compassionate Wisconsin disability lawyer can help you or a loved one better understand the murky rules surrounding Social Security benefits. Don’t wait to ask questions. Call our office in Neenah, Wisconsin, at (800) 928-2667 or fill out our contact form to schedule a free consultation today.